Head over to Nordstrom.com and score a new winter 18pc beauty goody bag plus your second one with any $100 purchase! Macy’s has one day sale – up to 80% off including beauty and Nordstrom provides you the same price here at this Nordstrom beauty sale page e.g., ESTÉE LAUDER Color Portfolio Collection 2018 $45 ($310 Value) is now $33.75 25% off. Macy’s just dropped Macy’s Exclusive mini Lancome Advent Calendar 2018 USA and restock Estee Lauder Holiday Blockbuster, enjoy! *This post contains spoilers NORDSTROM (NEW) GIFT 1: Free 18-Piece Gift with Purchase when you spend $100 on beauty or fragrance. No promo code needed. This post may contain affiliate links. Read the full disclosure. Bluemercury Black Friday Sale has begun! You can shop all luxury beauty and get free 18 freebies plus 15% off! See what’s in the Bluemercury gift bag below. Plus, Macy’s Black Friday $15 and under beauty doorbusters, Macy’s Beauty Advent Calendar 2018 is now $100 (a $300 value) and two new Macy’s Holiday Beauty multibrand sets! Bluemercury Thanksgiving Sale Bluemercury (NEW)(HOT) GIFT 1: Affiliate exclusive! Enjoy 15% off your $175 or more purchase. Use code: HOLIDAY – online only. Valid 8pm EST 11.21 – 11.22. Combined with the Thanksgiving gift bag! This post may contain affiliate links. Read the full disclosure. If you still want to grab Estee Lauder holiday blockbuster that are selling out everywhere, Macy’s has a new mystery gift with $100 purchase and beauty flash sale during 48 hours sale. Ulta beauty is offering heavy 5x – 10x points that is combined with 20% off coupon – see Ulta Point Chart below! Dermstore is running nice gift card event and free gift! Macy’s (NEW) Receive free mystery gift on any $100 beauty purchase. (NEW) 48 Hours Specials Sale; over 100 pages of heavy discount and up to 40% off beauty. Estee Lauder holiday blockbuster 2018. This post may contain affiliate links. Read the full disclosure. Hop on over to Neiman Marcus, The Detox Market & Riley Rose— they are having great sitewide fall gift bags for us! Plus, the upcoming Macy’s 10 Days of Glam deals I wanted to share. 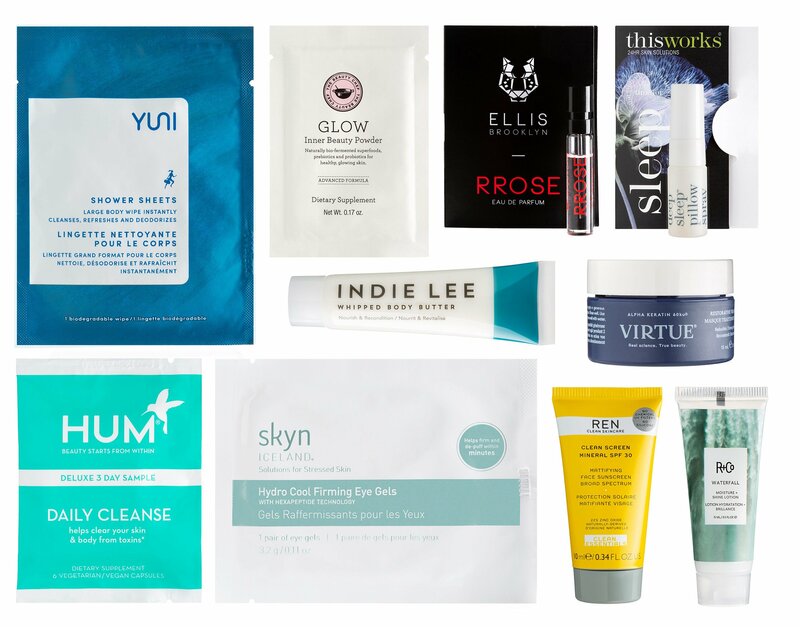 The Detox Market and The Detox Market Canada (Upcoming) Cozy up with The Detox Market Fall Bundle – a $340 value box filled with products from our favorite brands! From October 11-15, spend $200 and get The Fall Bundle FREE! This post may contain affiliate links. Read the full disclosure. Sephora and Macy’s are offering up Buy 1 Anastasia Beverly Hills Lip Product, Get 1 FREE! Add two full-size Anastasia lip products to your basket. The discount for one lip product will display at checkout $16 – $20. Choose your Anastasia Beverly Hills lip products at Sephora or Macy’s. This post may contain affiliate links. Read the full disclosure. There are new Sephora Favorites Inner Beauty and Clean Beauty. It’s Mystery gift time at Macy’s, plus hot new Clinique Discovery Set and 7pc Elizabeth Arden summer GWP. Estee Lauder Flash Sale 30% off and more. There are so many 4th of July beauty sales, stay tune for more! Sephora and Sephora.ca (NEW) Sephora Favorites Clean Beauty $44 ($153.00 value). This set contains: This post may contain affiliate links. Read the full disclosure. You have to see these top 7 beauty sales and awesome gift with purchase offers. A one day only MAC Mystery Haul, Dermstore Summer Supergift 2018, $25 Anastasia Beverly Hills Prism and Subculture palettes, full size Bobbi Brown Brick Shimmer gift + 25% off at Nordstrom, B-glowing has Sunday Riley 25% off + freebies, Sephora 50% off weekly wow deals and more. Macy’s $25 Anastasia Beverly Hills Prism Palette and Anastasia Beverly Hills Subculture Palette Macy’s (NEW) Anastasia Beverly Hills Prism Palette $25 and Anastasia Beverly Hills Subculture Palette $25 (reg $42). This post may contain affiliate links. Read the full disclosure.